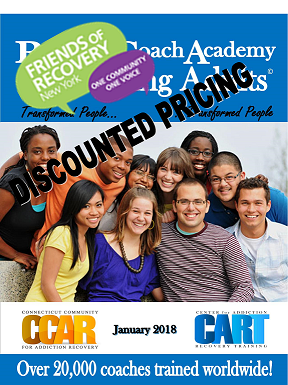 Only Authorized trainers of the CCAR Recovery Coach Academy for Young Adults are able to purchase the manuals and access to online platform. Please note this discount only applies to manuals that are purchased with the Online Access included. Please fill out the FORNY Order Form and send it to cart@ccar.us.